Professional photography confirms you are serious about your business. 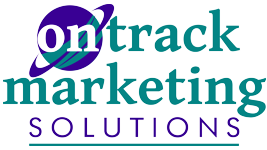 On Track Marketing employs professional models and photography to showcase your products or services. Just because we all have cameras on our smart phones, doesn’t mean we have what it takes to properly sell through visuals. A picture is worth a thousand words .. Leave it to the professionals at On Track Marketing who have the artistic eye to properly convey your marketing message through photography.